First, there was the Internet, and now it’s the blockchain. Wherever you look, the path forward leads to an increasingly decentralized world in which intermediaries become redundant and individuals gain more control over their money and personal data. The traditional concept of business has changed drastically, and that can be shown by the fact that companies no longer need to own anything to provide for services. Airbnb is the world’s biggest hospitality company, but it doesn’t own the properties it lets, and Uber operates as a worldwide transportation company, but it doesn’t own any cars. The era of the “one size fits all” is over. It’s now time to acknowledge individuality and cater to each person’s needs. Universities are failing most students and can sometimes perpetuate inequalities by adopting admission criteria that favors the elites. Even those who can get into University are often not given an adequate experience. As most degrees have a fixed four-year structure, students waste too much time trying to earn a degree that most of the times don’t match the real necessities of the job market. By the end of the degree, students are buried in debt. 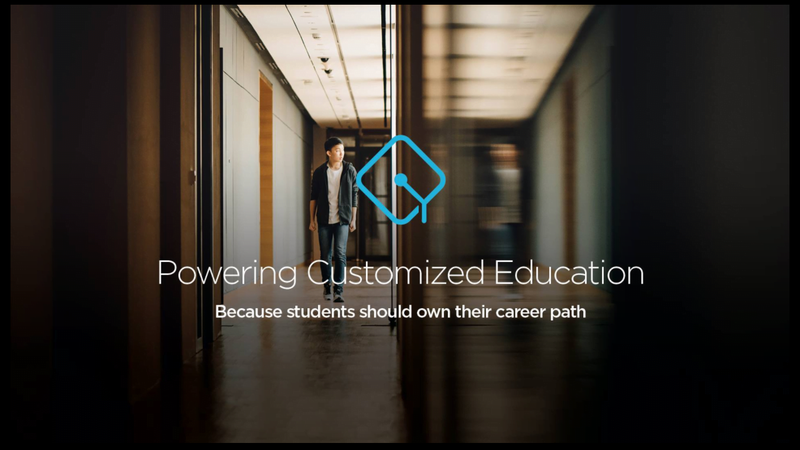 On-Demand Education Marketplace or ODEM, is offering an education service that runs on the blockchain. This solution is more accessible and affordable for all and it can be customized to fit students’ needs by providing live in-classroom experiences that also benefit from the support of online capabilities. The aim is to create a world where the rigid four-year degree and the great burden of student-debt becomes a thing of the past, and instead, a new model is created where learning at a higher education level turns into a more affordable lifelong process. The flexibility of this new system would lead to a learning process that is adaptable to one’s professional and personal interests or ambitions, cultivating a culture of continuous intellectual and practical enrichment. The platform runs on blockchain technology and, by cutting the middleman, it fosters direct interaction between students and professors, and it provides students more choice of housing, transportation and other services that they might need while studying. The system is based on Ethereum and will employ its smart contracts. Transactions will be made with the native ODEM Token (ODEMT) to facilitate international payments. Tokens can be bought through the company’s crowdsale that is going live on Feb. 17 and will continue until March 19, or until all tokens have been sold. A Know Your Customer (KYC) process is being implemented on the company’s website to verify the identity of investors who pre-register. Besides KYC, Anti-money laundering measures will also be employed as a way of ensuring that all contributors can participate in the ICO legally. ODEM is partnering with its sister company Excelorators, which has over five years of experience as a leading provider of education services, managing a network of over 200 professors. The company is acting on a growing market, as demand for customizable education rises in Asia, Africa, South America, and the Middle East. The company predicts that the Chinese education consumer might be the first to adopt this system, but it is hoping to quickly expand to the global. Major publications such as Forbes magazine, The Washington Post, and The Economist predict that the global education market is vulnerable of being disrupted by technological innovation and it could be worth between $4.6 tln and $6 tln. ODEM is looking to take a portion of that market.